Jobs in Gurgaon – Josh Technology Off Campus Drive On 9th May 2015. 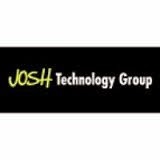 Josh Technology Job Openings for Software Developer Position. Only 2014 Batch BE, B.Tech Fresher are eligible to attend this drive. Last Date is 6th may 2015. Interested and eligible candidates can apply online through below provided link. Knowledge in following technologies will be an added advantage: Java / J2EE / Ruby on Rails / Django / Objective C.
Josh Technology Group is a niche product development company in web & mobile development space. Incorporated in 2009, since its inception, has launched several exciting products for renowned VC funded start-ups based in US. They work on open source technologies / frameworks – Java, J2EE, Ruby on Rails, Django, etc and mobile platforms – android, ios & blackberry. They also work on web applications in various domains such as mobile advertising platform, automotive retail, lead analytics, E-commerce platforms, social networking, corporate branding (sports & entertainment world). Working on its own products in the web / mobile space for the Indian market. Clients range from exciting funded start-ups in US & India to established Fortune 1000 companies. Highly talented peer group – Alumni of colleges such as IITs, NSIT, BITs, IIITs, Pune MCA, VIT, etc. High emphasis on quality mentorship & learning. Offers a great learning & a fast growth environment with a lot of fun @ work.